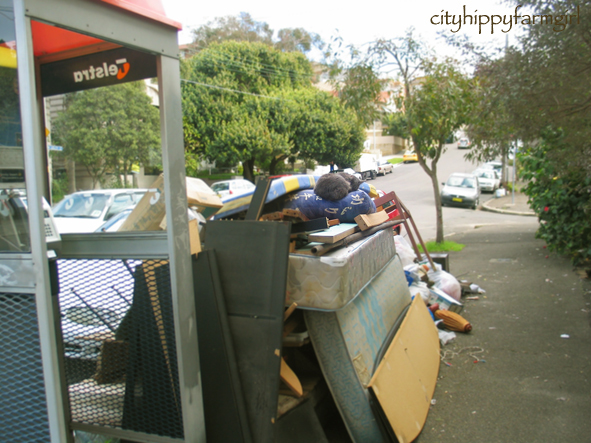 This entry was posted in Connecting with Community and tagged cat, city, council clean up, hard rubbish by cityhippyfarmgirl. Bookmark the permalink. 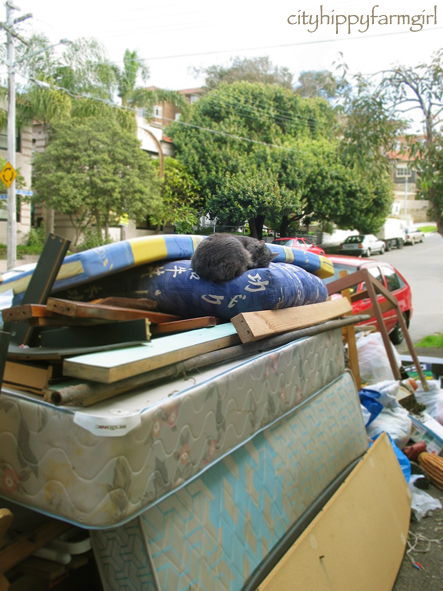 Love a council clean up, did you find anything to up cycle? I had my own snooze in the sun today. How sweet. The perfect spot to soak up a bit of sun and watch the birds flying around. Trust a cat go find a good spot for a rest. 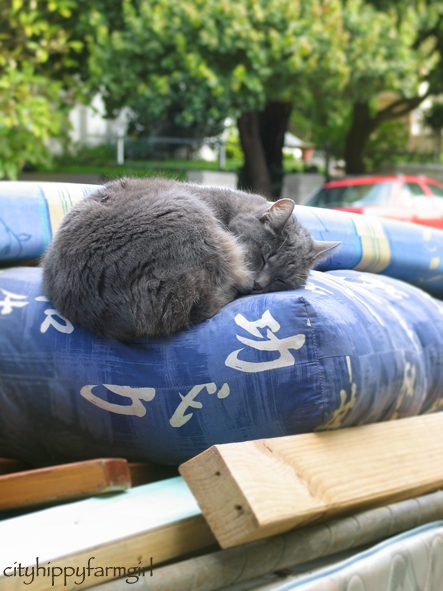 There is NO doubt in my mind that that kitty thinks those mattresses were put there for him. I hope her owners up cycled that cushion for her bed. Thanks for the chuckle. You know we still have neighbors put stuff out on the curb and we’ve done the same. It’s like freecycle but better. We got our work bench and two rockers this way, the cane ones. Yes, we’re in our 30s! argh! how frustrating jane. I had something similar in my pot plants for awhile. It got to the point where I had to put about 75 satay skewer sticks pointing out of the soil just to deter the bugger. Awww.. that looks like it’s maybe his bed?? adorable! !